These slitters are involved in the crush cutting process. In this process, the material is places between the score knife and a hardened sleeve which cuts the material essentially by crushing it, hence the name. Because of the way these knives are used, they will have a larger radius rather than a razor sharp edge, allowing the knife to have a longer life. The sleeves used are typically made from a harder material than the knife itself to ensure that the sleeve does not become damaged from the score knife. We also supply these hardened sleeves for this process. AQS’ score knives are made to the highest standards. Our ISO:9002 certified factory ensures our quality on the tight tolerance and high durability required by these slitter knives. 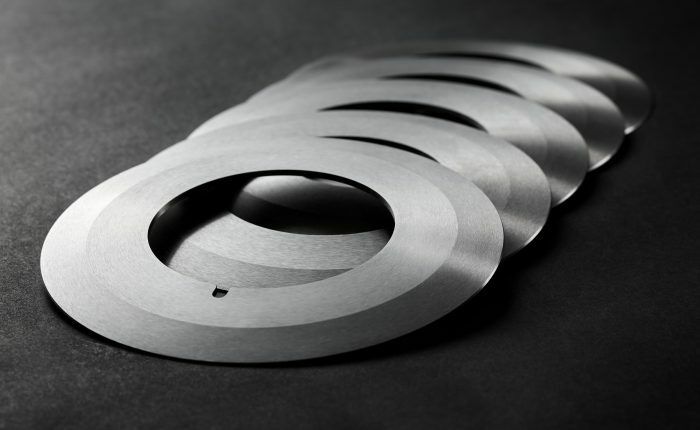 We maintain this level of quality for both our continuous edge score knives as well as our perforated score knives.